Samsung's Anycall SPH-M4650 Multi Touch is clearly a decent phone, but why the obfuscation? It would be lazy to label this yet another attempt to jump on the iPhone bandwagon. But it's even lazier of Samsung to call its latest mobile phone the 'Multi Touch' when it sports a very ordinary single-touch screen. 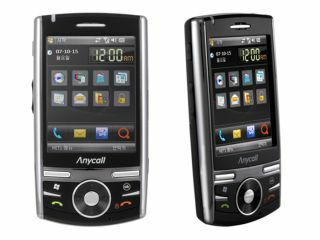 The Anycall SPH-M4650 Multi Touch, to give it its full name, goes on sale in Korea shortly for around £250 (typically, handsets aren't subsidised there) and appears to be an update of another Anycall model from 2006. Misgivings about the branding aside, there's still plenty worth considering. That 2.8-inch screen may not actually understand multiple simultaneous taps, but it can tap back in the form of haptic feedback that simulates the feel of a real button. As it runs Windows Mobile 6.0, the usual suite of Microsoft Office and multimedia software is present. A TV tuner for Korea's T-DMB terrestrial digital broadcasts is de rigueur there these days and, therefore, makes the M4650 a contender to be reckoned with. But we wonder how many customers are going to be disappointed when they take delivery of their non-multi-touch Multi Touches?